Frank Andiver, producer and drummer in lots of important italian metal albums for the last twenty years. He played drum in the first three Labyrinth cds ("Piece of Time", "No Limits" and "Returns to Heaven Denied"), now he's in the line-up of Wonderland (whose he write all songs too), Oracle Sun and Shadows of Steel. He also played drums in the album of italian metal bands like Anger, Mandragora Scream, Wild Steel solo album and many others... As a producer and engineerer he worked at Zenith Recordings with Atman, Acrylate, Agabus, An Handful Of Dust, Aydra, Arthemis, Ancestral, Angel Grace, Astarte Syriaca, Blame, Dead-end Track, Deathriders, Handful of Hate, Holyland, Insanity Arise, Evil Wings, Skylark, Holy Knights, Pandemonium, Labyrinth , Wonderland, Seven Gates, Mandragora Scream, Concept, Midnightstorm, Seventh Seal, Deadline, Projecto, Shadows of Steel , Mesmerize, Nameless Crime, Nightward, None of Us, Last Warning, Dis.Da.In, Nefesh, Ophiura, Oracle Sun, Osian, Skanners, SKW, Phantom Lords, Cheope, Full Moon Fever, Heaven Blast, Soul Blaze, Soundstorm, Landguard, Star Crossed, STR8, The Young Silencers, Tommy Vitaly, Noble Savage, Valerian Swing, Synthphonia Suprema, Wild Steel, Wood of Light, Colleral Damage, Raven Tide, Levania, etc. 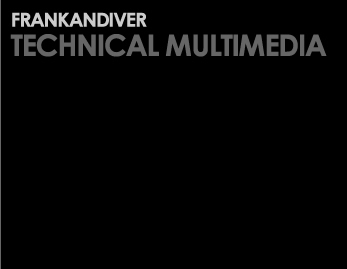 Frank Andiver was born in Lucca in 1970, he lives in Val d’Elsa and works in the field of audio-visual and multimedia. He’s a professional photographer and a sound engineer, but also a video maker, a programmer, a drummer and a composer. His biggest passions are trains and he makes trains’ reportages both in Italy and abroad. He loves his land and it’s always looking for new perspectives and trains to be photographed in order to describe a different Tuscany. He works with many institutions connected to transportation industry. His headquarter is the “Zenith Recordings”, its media studio located in the suburbs of Lucca since 1990.